3D files can be heavy, very heavy. This can be a problem when trying to upload 3D files to websites like i.materialise or when trying to share them online with your colleagues and friends. In this blog post, we will take a look at how you can reduce the size of your 3D model files and what level of detail you should be aiming for in order to get a high-quality 3D print. Why reduce the size of your 3D file? In theory, there’s nothing wrong with a large file. In practice, however, 3D files need to be shared or uploaded – and that’s where overly heavy 3D files can be a pain. For example, i.materialise has an upload size limit of 100 MB. 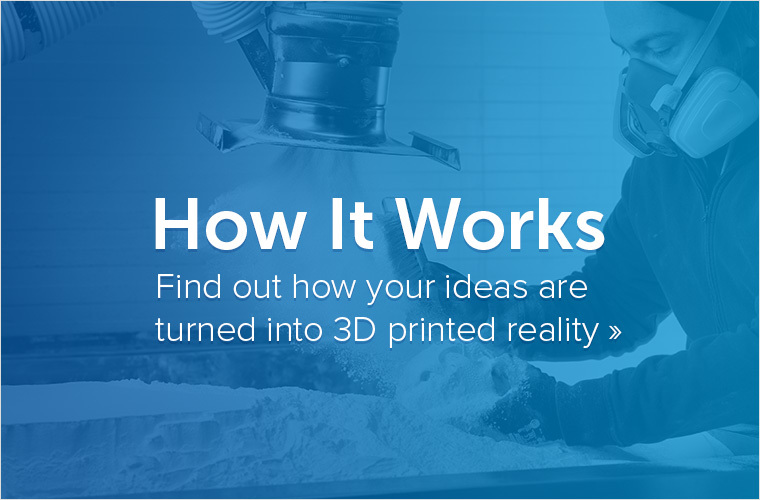 Additionally, most of those very heavy files have a level of detail that are just way beyond what the eye can see or what any 3D printer can print. That’s why we will explain in this tutorial how file size can be reduced while keeping the quality of your 3D print. After all, we do not want to reduce the file size in exchange for a lower quality print. Why are some 3D files so large? 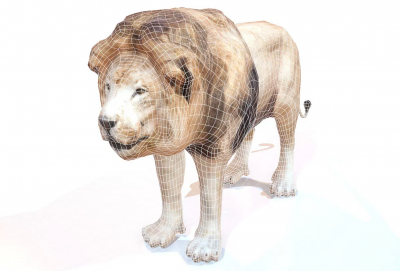 When 3D models are exported to .STL files (the most common file format when it comes to 3D printing), they will be expressed as a mesh made of triangles. The smaller these triangles are, the smoother and more detailed the surface of your model will be… and the bigger the size of your 3D file. Reducing the number of triangles will reduce the smoothness of the surfaces, but also the file size. In the image below you can see some examples from high polygon model (left) to a low polygon model (right) that might say more than a thousand words. In this example, the file size of the left sphere is quite big, while the right sphere has a small file size. The challenge for a designer is to find the perfect trade-off between having a well-detailed, non-pixelated model and a file that is small enough to be easily shared and uploaded. Luckily, this is easier than you might think. What export setting should I choose to get a small, high-quality 3D file? 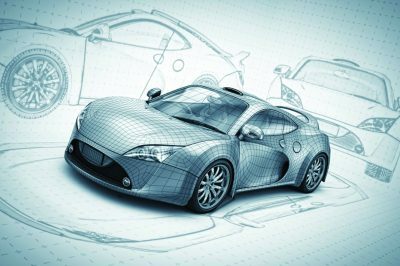 In many 3D modeling programs, you will be asked to define the maximum tolerance, precision or deviation of your STL export. This tolerance is defined as the maximum distance between the original shape and the STL mesh you are exporting. So if you choose the right tolerance here, you can be sure that your exported STL mesh will be perfectly printable and won’t look pixelated. It is advised to choose a tolerance of 0.01 millimeters for a good export. Exporting with a tolerance smaller than 0.01 mm does not make sense because 3D printers cannot print this level of detail. When exporting a file with a tolerance larger than 0.01 mm, triangles might become visible in the 3D print. 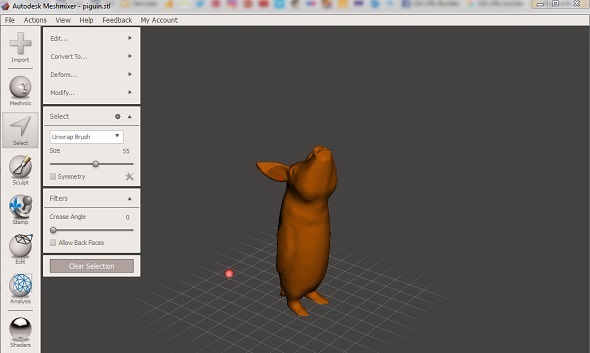 What to do if your software doesn’t allow you to reduce the size of your 3D file? File size is mostly a problem for programs that use NURBS modeling (meaning they express mathematical models). These programs typically allow you to set the quality of the .STL file in one way or another. Some 3D modeling programs, however, do not offer an option to choose a tolerance for your .STL export, or any other tool to reduce the polygon count. In this case, take your high-detail size-heavy 3D file and continue editing it in another program. 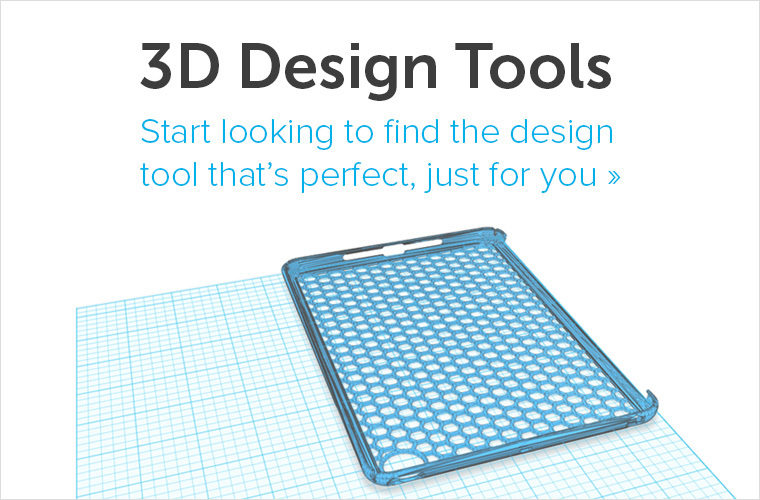 For example, you can give the free 3D modeling program Meshmixer a try. Choose the ‘Select’ tool from the menu on the right, then double-click on your model (this will select your entire mesh). Then click on the ‘Edit…’ option and select ‘Reduce’. 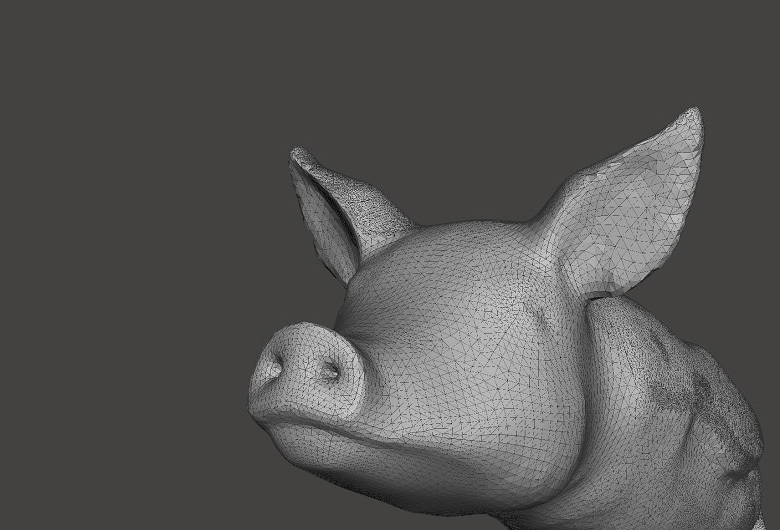 You can now reduce the polygon count using several options. The best working choice is to use the percentage tool. It will immediately tell you by how much percent your file size (and polygon count) has been reduced. 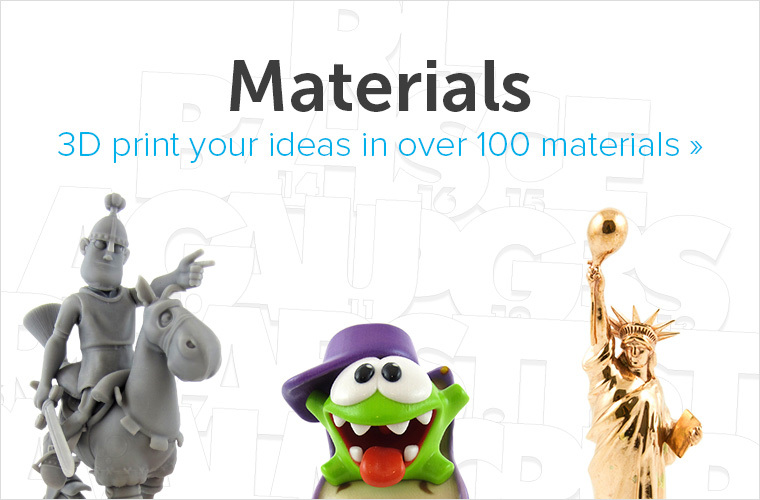 Once you’ve successfully reduced the size of your 3D file, make sure to upload it here and get instant price quotes in over 100 high-quality materials and finishes. If you can’t reduce the size of your 3D file below 100 MB, send the zipped file via a file transfer service to contact@i.materialise.com.